Walker Corporation has committed $430 million towards the rejuvenation of Adelaide’s Riverside precinct with the development of a new Festival Plaza. Walker Corporation is joint-funding the $610 million overhaul of the precinct with the South Australian Government. Sky City is also planning to invest $350 million in an upgrade of the Adelaide casino, taking the total spending on the precinct up to almost $1 billion. The redevelopment will include a 24-storey office tower with 40,000sqm of office space; a redeveloped 5,000sqm city square and a two-storey podium precinct featuring cafes, restaurants and high quality retail outlets. 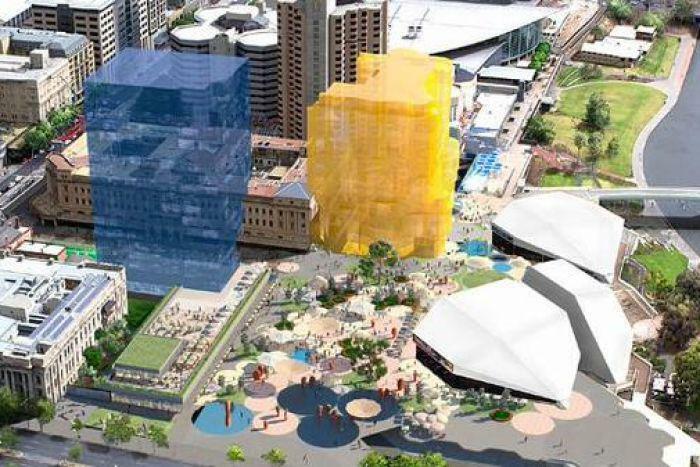 “The re-activated plaza will become a key focal point for Adelaide people and tourists who come to the city to attend cultural and sporting events, where they can eat, drink, work and be entertained throughout the day and night in the state of the art precinct,” he said. In addition, the project will include a 1,500 bay carpark that will replace the current 300 bay facility, including 400 spaces to be used exclusively by parliament staff and a further 750 to be leased to the casino to support its re-development. The project is expected to commence this year and be completed in early 2018. “We look forward to working closely with the government to develop this very exciting project, which has taken three years to attain approval," Mr Walker said.